This ultra-precise, high-performance, intensive age defying treatment mask is perfectly adapted to the skin. Its excellent fit assures ultimate penetration of unique double-layered specialty ingredients into the skin. An incredible formula with advanced technology that helps in detoxifying, lifting, refining skin texture and reducing the appearance of wrinkles. Once applied to the face, this mask made of active charcoal, releases negative ions also known as "Vitamins in the Air." They are capable of balancing the skin and returning its natural balance. Skin looks younger and more radiant. This amazing serum starts off black and disappears into the skin - containing active charcoal; Mother Nature's natural skin purifier. This luxurious, active charcoal mask is saturated with beneficial ingredients and moisture. Leaves skin feeling amazingly smooth, detoxified and younger looking. This double-layered mask contains positive ions and excellent age defying and lifting plant extracts for a complete over all skin treatment. Use once a week. Onto clean skin, open the single mask pack and apply to the face, allow it to infuse the skin for 10 minutes or more. To fully experience, massage the mask with your fingers, this will cause more negative ions to be released, rinse with warm water. The mask is made from 100% pure, mild, skin friendly plant fiber, and is 100% fully biodegradable. Contains 12 masks. a statement and a state of mind, to be worn with pride to show the world you’ve arrived. Trésor Rare, French for "Rare Treasure" is composed of the refining effectiveness of gemstones, exfoliating diamond dust and the smoothing properties of deep water pearls all meticulously mixed with plant stem cells, liposomes, phospholipids and selected minerals sourced from around the world to form superb skin potions to form one of the rarest skincare in the world. 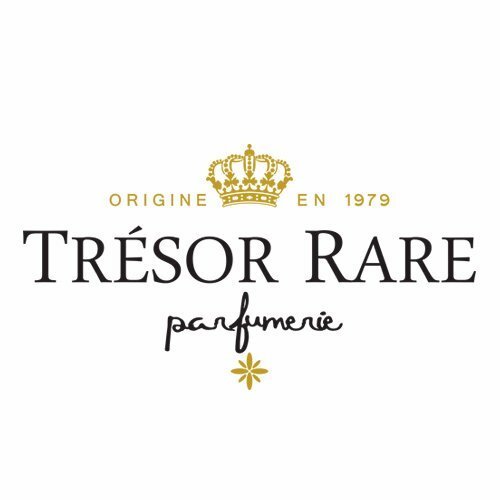 Laboratory manufactured with Swiss expertise under health department license exclusively for Tresor Rare. 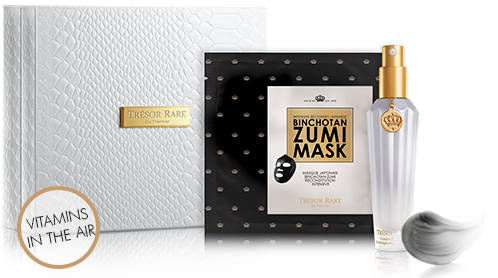 The Trésor Rare elite team of skin-care experts have pushed for over 7 years to set a new standard in superb, age-defying skin care products with one aim in mind: restoring skin to its most youthful appearance. The Tresor Rare line of products was selected as a finalist in the HBA (Health Beauty America) Skin Care Prestige Category for 2015.